Norway’s Folk High Schools are often called the freest schools in the world, with students (mostly aged from 18-25 years) living on campus for a year and immersing themselves in the subject of their choice with no curriculum or exams. The year at Folk High School is about learning on a deeper level – not just academically, but also personally and socially. 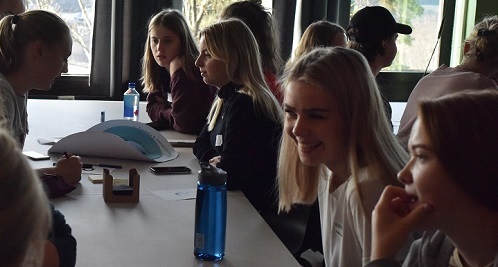 For these reasons, we were very excited to be invited to deliver a workshop for the Folk High School students and teachers who came to Oslo recently to participate in the Climate Smart Folk High School gathering run by the Norwegian NGO, Framtiden i våre hender (The Future in our Hands). Over the course of the day, we explored systems change, collaboration and transformations to sustainability. Creating the bright and sustainable futures we want will require deep collaboration. 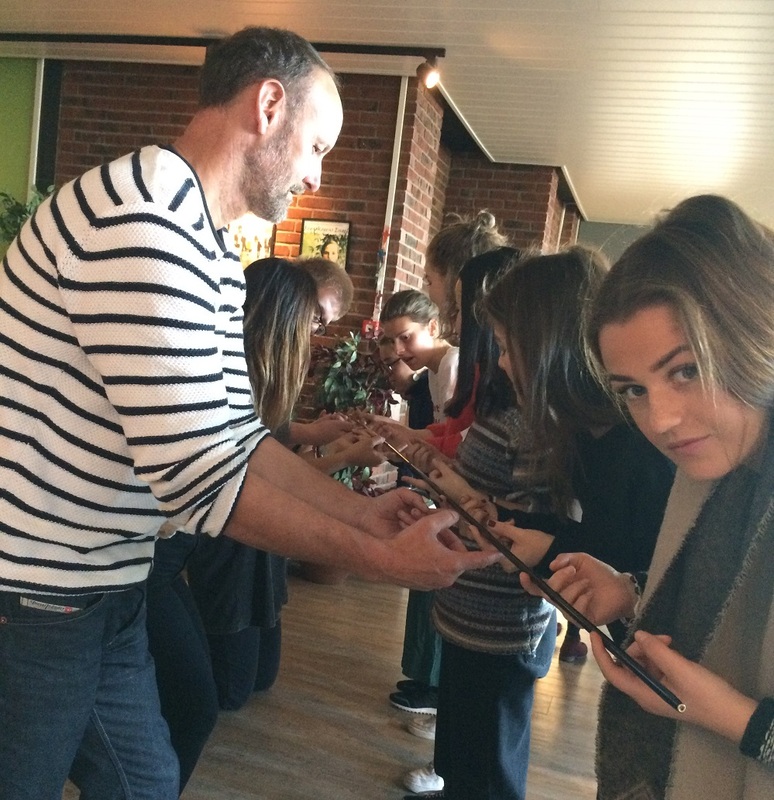 Our helium sticks exercise gave participants a small glimpse into the delicate balance of focus and alignment required to collaborate on even a small task. When we think about making sustainable changes, we often focus on the practical sphere – what needs to be done and measured – and what visible systems and structures need to change. Our Three Spheres framework helps participants explore other powerful factors – the less visible systems (power relationships) and the values and beliefs that drive outcomes and behaviours. 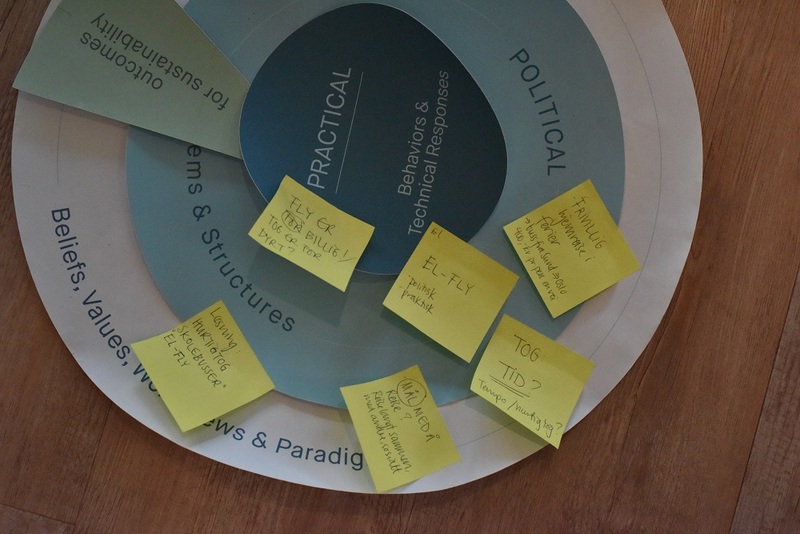 Participants were encouraged to think about how they could shift unsustainable practices in their own schools via our Three Spheres of Transformation group exercise. We also explored the surprising impacts experimenting and committing to just one small change can have on the people and environment around us and heard about A-HA moments past cCHALLENGE participants have experienced when committing to a 30-day change experiment. We are very grateful to Sparebankstiftelsen DNB, who have provided the financial support to develop our package of cCHANGE workshops for students and teachers. Keep an eye on our website as we roll them out in the coming months!